Imagine if you could just sample one dram of the good stuff without being held at ransom to the bottle or burning a hole in your pocket. And imagine this dram got delivered right to your doorstep. This is now a realistic possibility, thanks to the good folks at Black Rock, Shoreditch. Living up to their reputation of providing the best whisky experiences in the city of London, the team at Black Rock has taken things up a notch with a subscription club – Whisky Me, that will deliver samples of some of the finest single malt whiskies each month to its members. With a plethora of brands and expressions to choose from, it has become increasingly difficult for consumers to make choices. Collecting and sampling whiskies can quickly become an expensive habit for some, and keeping this in mind, Whisky Me, strives to make sampling of the good stuff, a more affordable affair for the whisky lover. Every month, subscribers receive a revolutionary pouch of single malt whisky chosen by founders Thomas Aske and Tristan Stephenson to best represent the rich flavours and diversity of single malt. Each whisky is handpicked by the pair for its comparative rarity and exclusive availability, offering members an accessible and affordable way to discover the tastes they enjoy. Each whisky delivery will be a surprise, but subscribers can expect to receive drams from some of the finest distilleries such as Macallan and Aberfeldy. The bespoke pouch has been designed so that it can be posted directly through the letterbox, without fear of damage, making delivery most convenient. In Black Rock’s constant effort to make whisky more engaging and accessible to aspiring connoisseurs and veterans alike, Whisky Me also has plans to ‘reward’ members with benefits including one-off casks straight from the distillery. The monthly service offers two subscription options: a pay-monthly fee of £7.95 a month, which enables users to opt out at any time; or an annual subscription at £84 a year, equating to £7 a month. 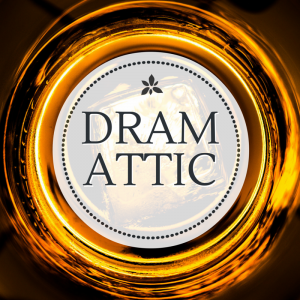 Each month, members receive a 5cl dram of single malt; uncomplicated explanations of what they’re about to drink; exclusive HD drone video footage of the distilleries and distillery data, accessible through social media. At an unmatched price for the finest whisky, cracking content that helps you know more about your favourite whiskies, and a host of peripheral benefits, Whisky Me is a one-of-its-kind opportunity if you want a foot in the door into the world of the finest drams.